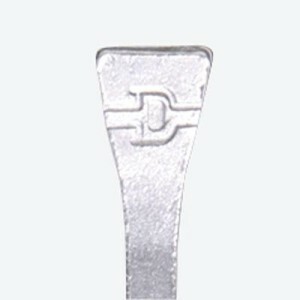 The Delta E-Slim nails feature a more defined head and a much slimmer shank than the regular E nails, allowing them to be used in a wider variety of shoes, including ones punched for City Head nails. 6164 Delta E-2 250 pc. 6166 Delta E-3 250 pc. 6169 Delta E-4 250 pc. 6172 Delta E-5 250 pc. 6175 Delta E-6 250 pc. 7822 Delta E-7 250 pc. 6165 Delta E-3 Slim 250 pc. 6168 Delta E-4 Slim 250 pc. 6171 Delta E-5 Slim 250 pc. 6174 Delta E-6 Slim 250 pc. 8137 Delta E-4 Road Nail 100 pc. 8138 Delta E-5 Road Nail 100 pc. 8139 Delta E-6 Road Nail 100 pc.